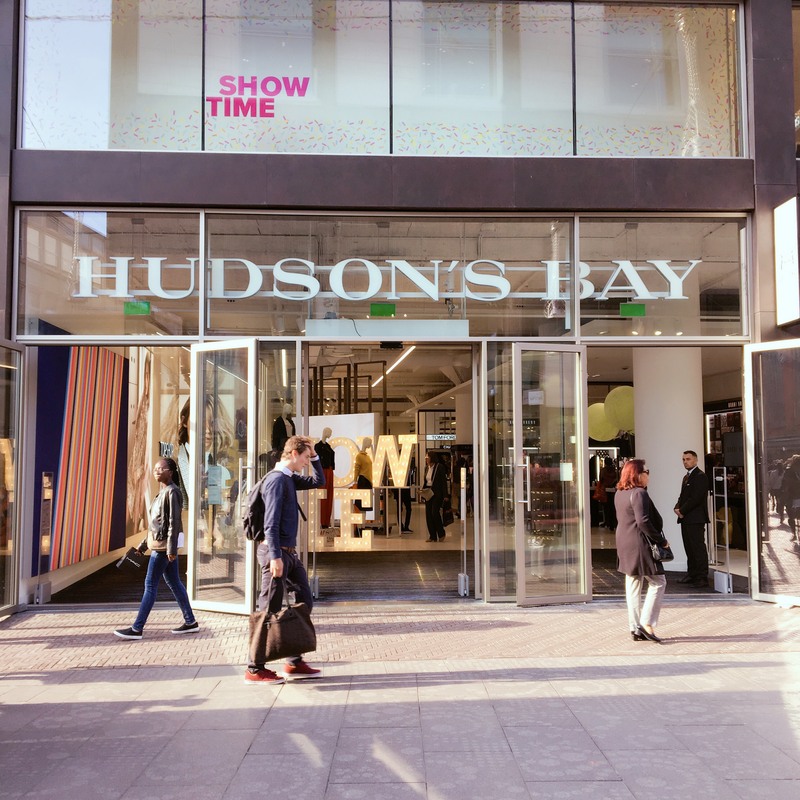 In the beginning of September the Canadian well-known warehouse Hudsons’ Bay has opened it’s first stores in The Netherlands. Since the day Hudson’s Bay had announced its intention to open a chain of warehouses in the Netherlands I was really looking forward to these new stores. In my mind I drew a picture of a “shopping heaven”. Something fresh, innovative, fun… something that we have not had before. Keeping my hopes very high, I dropped by the branch of Hudson’s Bay in The Hague. Unfortunately, the reality was far from what I had imagined and was expecting to see. Simple, nothing flashy, nothing “WOW” was my first impression from the store. To be honest, if I didn’t know the location of the store, I would have probably even missed it. The section of outlet designer bags. It’s something new that I have not seen before in the stores. Very cosy Personal Shopper area. Even though many other stores are also offering this service, the way how this area was presented in Hudson’s Bay seemed to be more approachable and cosy. I had a very welcoming feeling from the whole set up. Nail treatment service. A few years ago another warehouse (deBijenkorf) was offering a similar service, however they stopped it for already a while. It was nice to “re-discover” this service in Hudson’s Bay. Last but not least, I was very happy to see one of my favorite brands – Karl Lagerfeld presented in the store. All and all it was not as “WOW” as I was expecting it to be, Hudson’s Bay is yet another shopping place like we know and have seen. This was it for this time. Don’t forget to let me know your opinion in a comment bar below! Till next time!